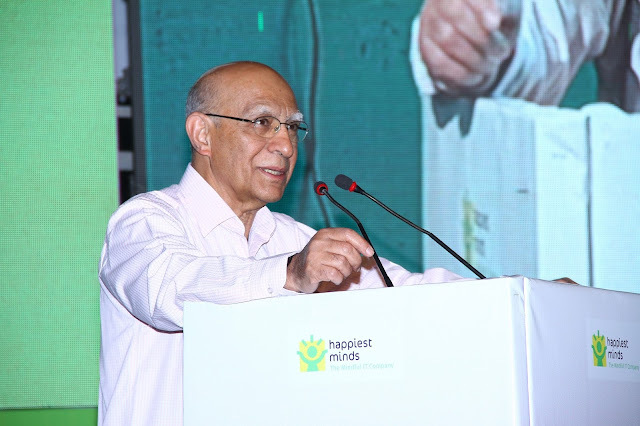 Bangalore, 21st Feb, 2017: Happiest Minds Blitz 2017, an event focusing on innovative technology and digital transformation, showcased futuristic digital solutions to promote the innovative culture in its organization. The unique solutions showcased included chatbots, parking solutions, better shopping experience solutions, crowd monitoring solutions etc. 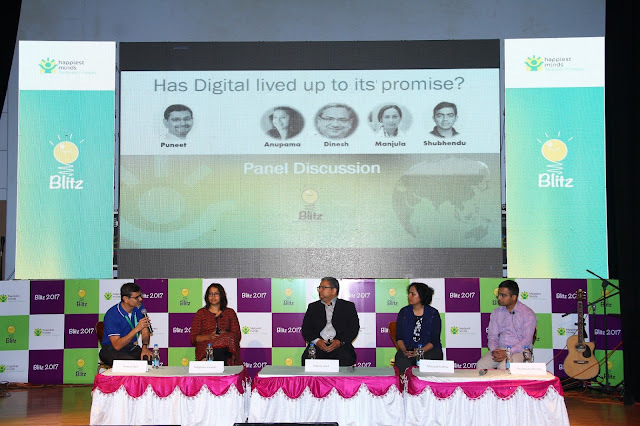 On the grand finale of the month-long tech fest, Blitz, there was a panel discussion on, “Has Digital lived up to its promise?” where eminent speakers like Manjula Sridhar, Founder, Argbyte, Dinesh Goel, Head, ISG, Anupama Gowda, Founder Workbench Projects and Shubhendu Sharma of Afforestt India spoke how solutions like IoT, block chain, etc. are saving the ecosystem and can bring parity in terms of resources and information availability in the urban and rural population in the long run. The discussion also mentioned the unsung heroes of digitization. 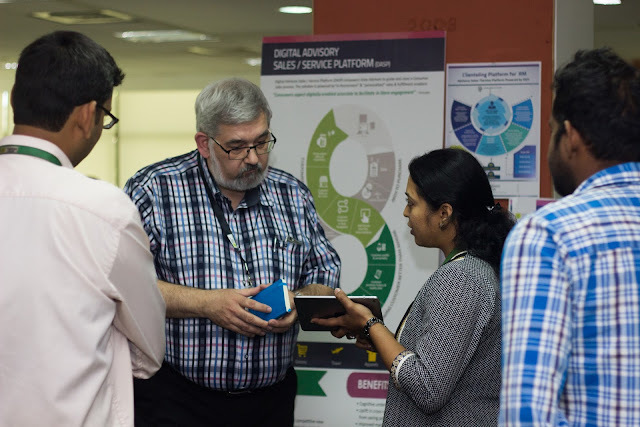 Instances of digital promotion in rural areas, in B2B2C models, in financial inclusion or for creating innovative methods of education were shared to prove how far transformation has reached in India. 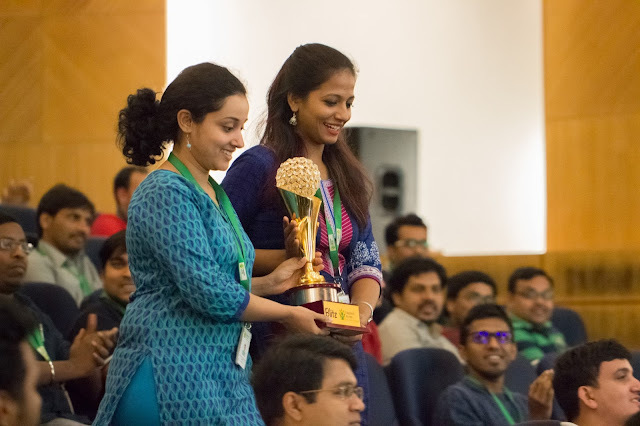 Happiest Minds, a next generation Digital Transformation, Infrastructure, Security and Product Engineering Services company, annually awards the best innovative solutions showcased during their annual tech fest. The chatbot solution that was awarded for its uniqueness, is AI powered and runs on machine learning. It can answer queries like any human responder. It proves to be an ideal contact centre and can guide customers to the intended products and solution they are looking for. A self-help chatbot can have wide futuristic case studies. Such chatbots are no more a sci-fi concept. They can be used in helping customers at shopping centres, airports, hospitals, etc. Parking is a major problem in metro cities. 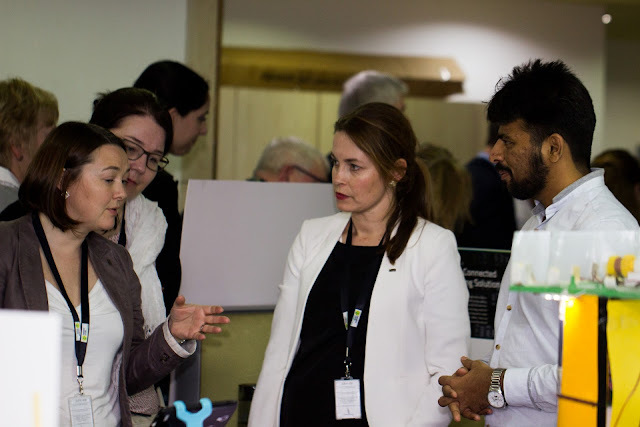 The Parking solution showcased in the exhibition with three innovative solutions could solve this unwanted hassle in the future. The Parking Solution was based on IOT and Beacon technology and showed how we can check for available parking spots at malls and movie halls by integrating the system. We could also book the parking space before arrival to avoid wasting time in searching for a parking spot. The solution requires an app that can conduct these activities. The booth also showcased a crowd source app where the parking space owner could rent out their residential parking space during the time it is not in use and earn money. You could have your very own JARVIS. A Voice Controlled Home that was based on IOT and AI technology where IOT was used to connect all devices and AI was used to trigger the command that needs to be executed. It could be controlled with any language. Robotic Process Automation (RPA) had the functionality to automate all mundane and repetitive tasks. This solution could be used by operators in any industry and is based on cognitive computation and machine learning along with AI. The solution helps in achieving higher productivity and helps operators and executives make more informed decisions based on the customer’s preference and tasted. This information also can be shown and derived by the solution and shown on a dashboard sort of format.